A new Junior Research Group at the Institute for Cardiovascular Prevention will focus on metabolic adaption of heart muscle cells to find new therapies for combating heart disease. Irregular beating of the heart in cardiac arrhythmia or inadequate perfusion due to atherosclerosis trigger a stress reaction in heart muscle cells, which modifies their metabolism so as to maintain normal function. Failure of this adaption, however, is associated with heart disease. 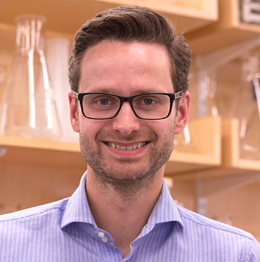 Biochemist and molecular biologist Dr. Alexander Bartelt is dedicated to understanding the mechanisms that regulate this molecular anti-stress program, with the goal of improving clinical outcomes. Bartelt comes to LMU from Harvard University, and has joined Professor Christian Weber‘s Institute for Prophylaxis and Epidemiology of Cardiovascular Diseases (IPEK) to set up a new Junior Research Group, with the aid of a 5-year grant amounting to 1.25 million euros from the German Center for Cardiovascular Research (DZHK). The endoplasmic reticulum (ER), a network of membranous tubules that controls the synthesis and distribution of membrane-bound proteins and proteins destined for secretion, is the key cellular organelle for responding to metabolic stress. In addition to ensuring the correct folding of nascent proteins prior to their transport to other cellular compartments, the ER also plays an important role in the metabolism of fats. When the heart is subjected to stress – induced by a heart attack, for instance – the tissue must adapt rapidly and effectively in order to remain functional and ensure survival. The ER protects cells from stress by correcting errors in the folding of proteins or by efficiently disposing of irreversibly misfolded and toxic proteins. The latter operation is accomplished by directing proteins to the proteasome (a large protein complex) for degradation. “We are therefore particularly interested in the role of the transcription factor Nfe2l1, which is localized in the ER and regulates the activity of the proteasome,” says Bartelt. In a paper published recently in the leading journal Nature Medicine, Bartelt and colleagues demonstrated that brown adipose tissue, whose cells oxidize large amounts of nutrients to generate heat, responds to stress by modifying cell metabolism with the aid of the proteasome – and revealed that Nfe2l1 is required to protecting these cells from metabolic stress. “This Nfe2l1-proteasome mechanism is also very active in the heart,” says Bartelt. “We therefore assume that Nfe2l1 plays an important role in protecting heart function from the stresses associated with cardiovascular disease.” Using cell-culture systems and specific animal models, Bartelt and his team will uncover the biological function and pathological of the Nfe2l1-proteasome mechanism at the molecular level. In collaboration with clinical partners in the Munich Heart Alliance, the researchers will also determine the significance of their experimental findings for human cardiovascular disorders, and explore their implications for the development of novel therapies.